We have been providing work to goods vehicle drivers since 1993; from permanent jobs to flexible working arrangements (through us) our aim is to provide you with opportunities. Our driver team have access to a wide range of work. We have long term relationships with over 250 local hauliers and distribution businesses. Experience levels required – we can offer opportunities to experienced drivers and newly qualified drivers alike. Why join us – because we understand you! We have worked in this industry for over 23 years and understand that you are not a round peg to be placed into a square hole. We will respect your individual needs and work with you to ensure we have a mutually beneficial relationship. That work begins from the moment that you apply to work with us and we can often place a driver into a suitable position within 24-hours of first meeting you. 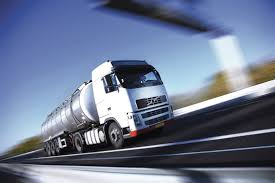 If you want to find that perfect HGV driving Job we are the driving agency to contact.